Sorry for the late post but hoping this post will help a lot of travellers who wants to do border crossing. This trip had been memorable to me and Jon since it is where we got engaged. Border Crossing from Cambodia to Thailand (Vice Versa) takes a lot of time but it was really a worthwhile ride and something new to me and my now husband. From Siem Reap to Bangkok, Our tuktuk driver brought us to the agency where we got our Bus Tickets. A mini van picked us up to bring us to the bus station. From bus station, we rode a sleeping bus up to the border. The bus is comfortable for someone as petite as me but for the tall people, it will be uncomfortable since it will be a long trip. 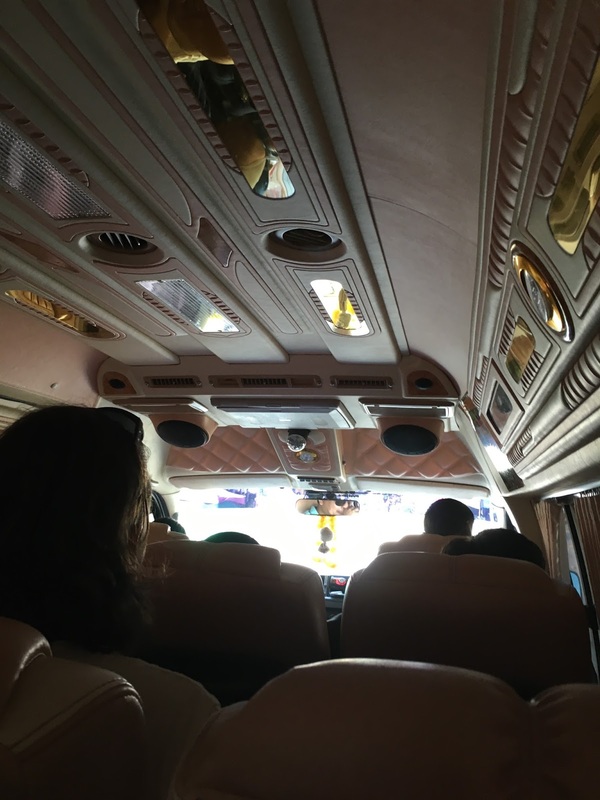 From the border, we just had our passports stamped and then changed into a minivan where they dropped us off at the Pratunnahm Market. We were together with a European Family. 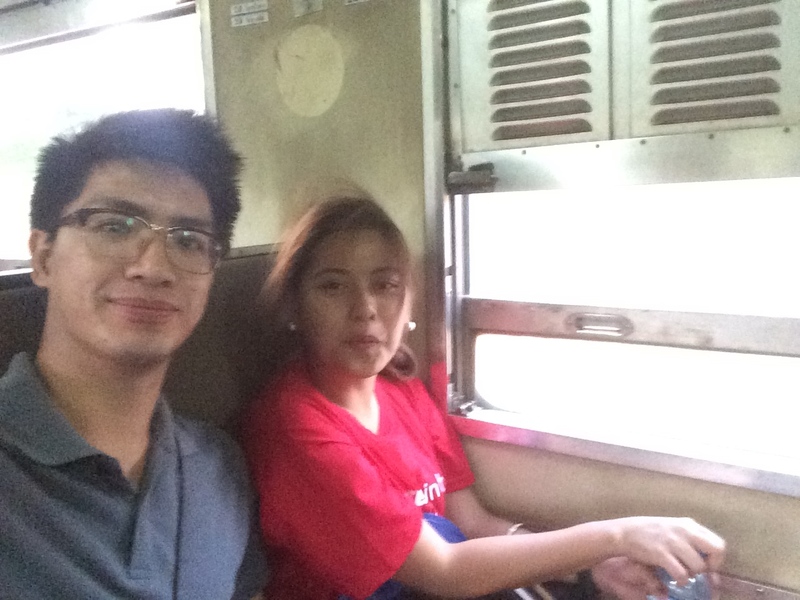 We took the last train ride til Aranyaprathet. We have witnessed all walks of life during this train ride. It was a mix of hot temperature and humid. The food available was thru vendors and most of it are rice cakes and sausage. The sausage is good btw! :p From the train station we took a tuktuk to the border. And the hardest part came when we reached the border. There is no bus available at night in the border the only choice we had is a taxi or to stay in a hotel in the border and wait till morning. Drivers were approaching us even in the canteen where we ate dinner. There were 2 drivers who approached us, one is a taxi driver and one is a driver of a resort spa. We told both that we will think about it first but they were still harassing us. After we ate, the driver of the resort spa (black lexus car) waited for us and offered to take us home since he is on the way. And since he told us that we can pay $50 for us 2, we agreed to take it. The trip was shady because we stopped by a home and she picked up a female person. We assumed this girl works for the resort spa since before he dropped us at our hotel, we passed by there. And when we arrived at our hotel, the driver now tells us that it is $50 for each person. From what we experienced, It is advisable to book a connecting trip so you won't be scammed in Poipet. Also take note that traveling from SR-BKK (viceversa) would be almost 10 hours.